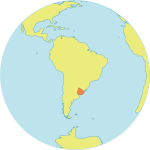 Although abortion has been illegal in Uruguay since 1938, pregnancies continue to be terminated. By some estimates, almost 30,000 unsafe abortions are carried out every year, and, until recently, many girls and women died from resulting complications. But while illegal abortions still occur, related deaths have been virtually eliminated in the last three years. “Today we are proud to affirm that Uruguay is the only Latin America country that didn’t register any maternal deaths from unsafe abortion,” says Leonel Briozzo, Vice Minister of Public Health. This helped Uruguay achieve the Millennium Development Goal target on reducing maternal mortality, because fatal complications related to unsafe abortion typically comprise a significant portion (about 13 per cent, according to the Guttmacher Institute) of maternal deaths. Much of the credit goes to a group called Iniciativas Sanitarias (“Health Initiatives”, in Spanish). It was founded in 2004 by a team of professionals including gynaecologists, midwives, psychologists, nurses and social workers. As part of a larger goal to promote sexual and reproductive health as a basic human right, they focus on unintended or unwanted pregnancies and their consequences. Even though abortion is illegal, the Iniciativas Sanitarias team believes that women should not have to pay for it with their lives, and that pregnant women have a right to health information and emotional support as well as post-abortion medical care. In a brightly lit hall, Daiana, a 22-year-old Uruguayan women waits her turn to talk to Ana and Cecilia, a midwife and a psychologist, who work in a sexual and reproductive health clinic at the country’s largest hospital. Anxiety and fear are apparent in Daiana’s face. It’s not difficult to imagine the big questions surrounding her mind. Bringing a new life into the world is one of the most consequential decisions a woman can make. But Daiana knows she can count on informed professional advice. Respect to the women's decision and confidentiality are pillars of the work of Iniciativas. “Together with the woman, we analyze which are the reasons behind their decision,” says midwife Ana Labandera. Often, many different factors arise: economic limitations, the impact on life plans, or acts of violence surrounding the conception. Sometimes the counselling helps resolve them: Twenty per cent of the women who visit the service for unwanted pregnancies later decide to go forward with their pregnancies. “We want to understand the approach that every woman gives to her pregnancy and to accompany her in that difficult process of decision,” adds Gonzalo Vidiella, a gynaecologist on the team. “And we have to give her respect,” adds Labandera. They agree that it is also crucial to offer both post-abortion counselling, including information about appropriate forms of contraception, which helps ensure that the women do not find themselves in a similar situation later on. According to an internal study, more than half of the women who use the service report they were using contraception, but lack of complete and accurate information resulted in failure, especially in the case of oral contraceptives and male condoms. As stated in the ICPD Programme of Action, “prevention of unwanted pregnancies must always be given the highest priority and every attempt should be made to eliminate the need for abortion” (para 8.25). Teamwork and the emotional support of peers is crucial to the team as well. “Dealing with unsafe abortion situations normally is a very exhausting job,” explains Cecilia Stapff. Creating an environment where women facing unwanted pregnancies would be welcomed, listened and counselled was not without controversy. Initially, the initiative was strongly contested, by some feminists, who believed that it undermined efforts to make abortion legal, and by others who thought it tacitly sanctioned abortion. The legal status of abortion is again being discussed in the Uruguayan Parliament. This is in line with the ICPD Programme of Action, which states: “Women who have unwanted pregnancies should have ready access to reliable information and compassionate counselling. Any measures or changes related to abortion within the health system can only be determined at the national or local level according to the national legislative process” (para 8.25). Conceived as a comprehensive sexual and reproductive health care, Iniciativas Sanitarias has been implementing its programme in collaboration with the University of the Republic and the National Administration of Health Services of the Ministry of Public Health, with support from UNFPA. Users have access to contraceptives, information on sexually transmitted infections and information about their right to reproductive and sexual health. About a hundred women visit the service every week, and unintended pregnancy is one of the most common issues. The success of Iniciativas has encouraged the Ministry of Public Health to replicate the service around the country. New regulation enacted by decree in 2010, calls upon all primary health providers, both public and private, to offer comprehensive reproductive and sexual health services, including counselling and family planning. The decree also mandates that information about abortion also be provided, although some health care providers are taking issue with this due to moral and ethical considerations. Lack of trained and specialized human resources is another problem, and UNFPA is supporting an extensive national training on sexual and reproductive health guidelines. The country’s experience has been also replicated in other eight Latin American countries with similar legal scenarios. “The major step taken by Iniciativas is a shift from treating abortion as a legal and criminal question to a public health issue,” says Vidiella. It also provides a safe space where women (and occasionally their partners when they decide to do so) can reduce some of their fears and make an informed decision about their pregnancies. Soon all Uruguayan women, like Daiana, will have professional help to accompany them in these difficult situations.